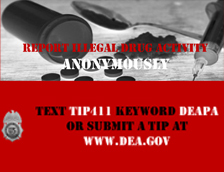 PITTSBURGH – Ronald McMillian, of Washington, Pennsylvania pleaded guilty in federal court to charges of trafficking in heroin and fentanyl, United States Attorney David J. Hickton announced today. McMillian, 24, pleaded guilty to four counts before United States District Judge Arthur J. Schwab. In connection with the guilty plea, the court was advised that in August, 2015, McMillian conspired to distribute and possess with intent to distribute, and distributed and possessed with intent to distribute heroin and fentanyl. Judge Schwab scheduled sentencing for Dec. 13, 2016 at 10 a.m. The law provides for a maximum total sentence of not more than twenty years at each count, a total fine of up to $4,000,000, or both. Under the Federal Sentencing Guidelines, the actual sentence imposed would be based upon the seriousness of the offenses and the prior criminal history, if any, of the defendant. Assistant United States Attorneys Katherine A. King and Ross E. Lenhardt, of the violent crime section of the U.S. Attorney’s Office, are prosecuting this case on behalf of the government. Special Agents and Task Force Officers from the Drug Enforcement Administration, the Washington County Drug Task Force, the Pennsylvania Office of the Attorney General, the Pennsylvania State Police, the Washington County District Attorney’s Office, and numerous local police departments including the Canonsburg Police Department, the Donora Police Department, the Monessen Police Department, and the Charleroi Police Department, as well as the Washington County Coroner’s Office, and the Allegheny County Medical Examiner’s Office, conducted the investigation that led to the prosecution of McMillan.